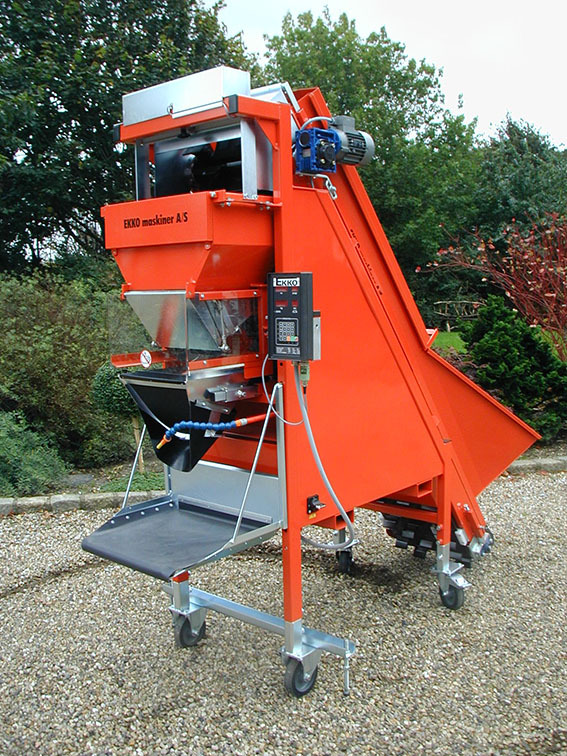 The EM 1830 automatic weighing machine is designed to weigh potatoes, onions, carrots etc. 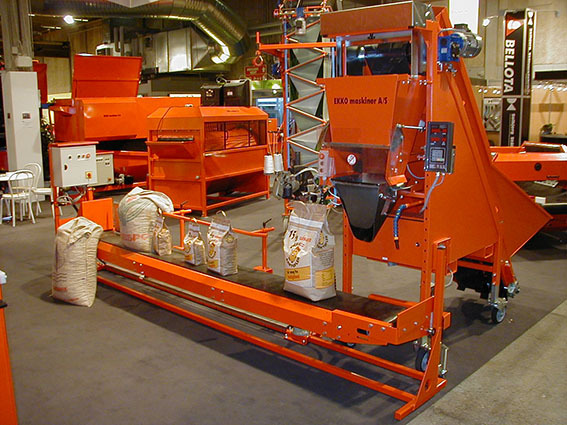 The machine is available with 25 or 50 kg weighing chamber. The computer has a display for reading of the programmed functions. A two-speed ”rough elevator” conducts the main quantity to the weighing chamber, after which a slow-running ”fine elevator” will add the last few pieces, thus ensuring a most accurate weighing. The scale pan can be opened either manually or automatically. 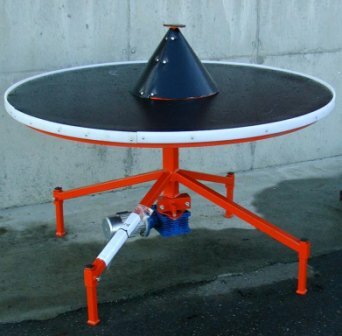 Slowly rotating packing table, for placement after a weight.